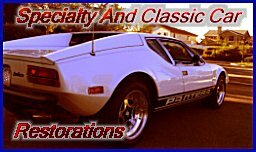 The ZR1 Pantera Project by SACC Restorations | Update: The Engine is Lowered! It definitely is! The LS engine series is much skinnier than the modular motors. That was one of the reasons for choosing the LS3 during the first engine swap.